10 percent of all drivers 15 to 19 years old involved in fatal crashes were reported as distracted at the time of the crashes, the largest percentage among any age group. Talking on a cell phone quadruples your risk of an accident, about the same as if you were driving drunk. That risk doubles again to eight times the normal risk if you are texting. Five seconds is the average time your eyes are off the road while texting. When traveling at 55 miles per hour, that’s enough time to cover the length of a football field. In order to promote awareness about the dangers of distracted driving in our local high schools, Pinder Plotkin gives out its Distracted Driving Essay Scholarship each May. The Pinder Plotkin Distracted Driving Essay Scholarship awards $500 to a high school senior who will be attending a community college in Maryland. We focus on seniors attending community college since they often have to commute and are at an increased risk of distracted driving. 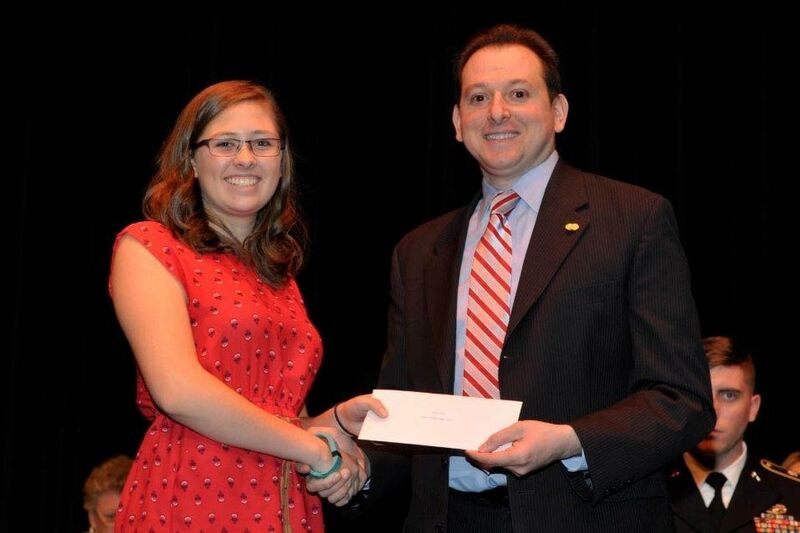 This year, Pinder Plotkin is proud to award this scholarship to Franklin High senior Ericka Ault. Even the alarming statistics on distracted driving don’t do justice to the pain and grief that the resulting crashes bring to the families and loved ones of those involved. Our winning scholarship essayist explores those terrible consequences in her essay on distracted driving, which we’ve published below. If you or a loved one has been injured in a vehicle accident, Pinder Plotkin can help. Our attorneys have the qualifications, experience, and capable support staff to investigate your case and get you the compensation you deserve. Call us today at (410) 661-9440 or fill out our online contact form to speak with an attorney at no cost to you. Imagine that you are five minutes from home. You hear your phone ring. The first time you ignore it, but it rings again. You pick up your phone and glance at it for just a second. Next you are crashing into a car because you ran a stop sign. The next thing you remember is waking up in the hospital. Your friends and family are surrounding you. You go for a walk in the hallway. You pass by a room where a crying mother and father are sitting together next to two beds. The people in the beds are young, one very small and fragile, the other older but still so young and innocent. You ask the nurse walking by what happened and she explains that they were in a car crash. Both brain-dead. The parents have to pull the plug on not just one but both of their children. You realize that you are the reason for this. Just yesterday that was a happy family. Now half of them are gone. Never coming back. But you are okay. You are not suffering. The guilt you are feeling is nothing even close to what the family is going through. All because of you. Now, let’s back up. If you had waited the five minutes until you were home to check your phone, everything would be fine. This is the impact that even one second of distracted driving can have. Everyone knows that it is a problem, but they don’t truly understand how serious it is until something like this happens. Most people have glanced at their phone while driving, even if they don’t want to admit it. They don’t think of it as a problem. It’s an automatic reaction. Today’s society is fast-paced and technological so the all-important text message or Snapchat can’t be missed. The leaders of this technological revolution are teenagers. These teenagers are people who are relatively new drivers and are therefore already prone to have an accident. Teenagers are practically attached to their phone; it is their entire life. They don’t want to miss anything and don’t think about the fact that their safety is at risk. The fact is, a quarter of teens respond to a text message at least once every time they drive. It’s so easy for them to quickly glance down at their phone or start to type a text message; it’s almost like second nature. When they aren’t driving they immediately respond and check their phones so why should they stop when driving? What could possibly go wrong? Yet this age group has the largest proportion of drivers who were distracted when a crash took place. Teenagers need to understand that using their phones while driving is not a good idea; it can end someone’s life. It happens much more than it should. However, the problem is not only in teenagers. No one should be driving while they are distracted. Anyone can get into an accident. Anyone can make a mistake. Anyone can end a life.